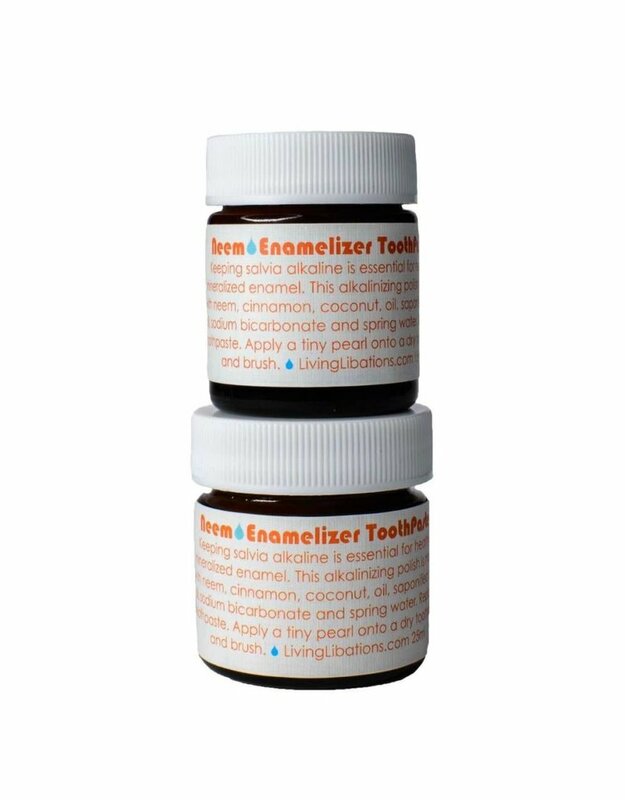 Living Libations Neem Enamelizer Toothpaste is robust in its ability to alkalinize and bust bacteria that effects fresh breath, will also leave your teeth feeling silky smooth. 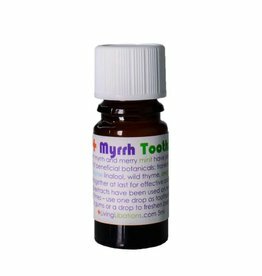 Only a small amount is needed, and is specially formulated to replace regular toothpaste. Keeping saliva alkaline is essential for a bright, white smile. Neem Enamelizer will leave your teeth feeling smooth and polish your teeth to pearly perfection. Uses : Use as you would toothpaste. Apply a small pearl to a dry toothbrush and brush. 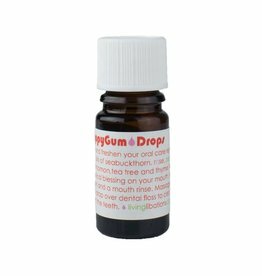 Combine with Happy Gum Drops, Yogi Tooth Serum or Mint + Myrrh Serum for a boost. 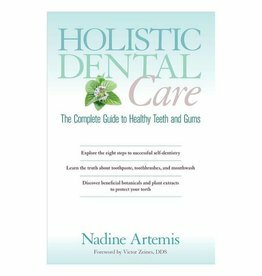 Follow the 8 Steps to Successful Oral Care. Note : Avoid neem while pregnant. Cocos nucifera (Virgin Coconut), Sodium Bicarbonate, Saponified Olea europaea (Olive) Oil, Azadiracta indica (Neem), and Cinnamomum ceylanicum (Cinnamon).